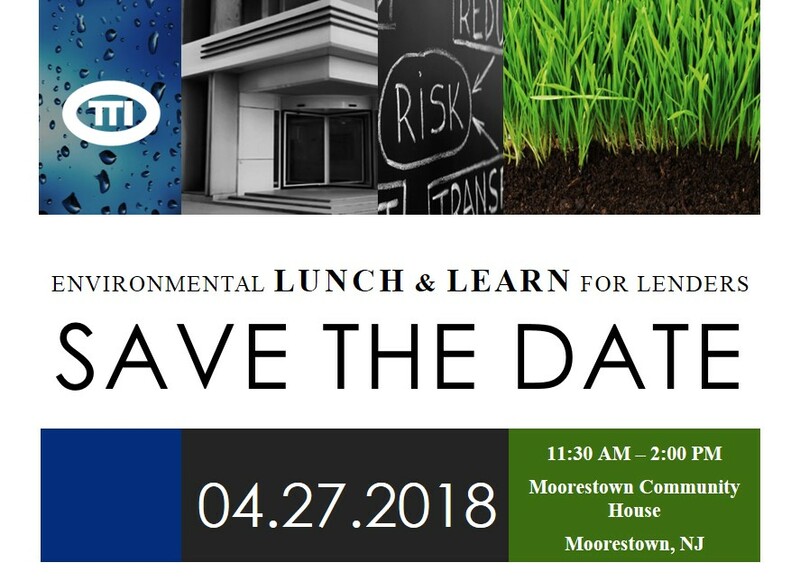 7th Annual Environmental Lunch & Learn for Lenders addresses important issues influencing the banking community | TTI Environmental, Inc.
My Property has been impacted by Offsite Groundwater Contamination, now what? This event should be attended by Real Estate Managers, Appraiser and Reviewers, Environmental Risk Managers, Commercial Loan Officers and Asset Recovery Specialists. This will TTI has over 30 years of experience in providing consulting services to lending institutions which has allowed us to develop strong relationships with many different loan officers and risk assessment managers across the industry. TTI provides services to the Northeastern and Middle Atlantic portions of the United States and maintains the appropriate licenses, certificates and company credentials necessary to perform the technical and administrative aspects of the due diligence process. This year’s program details and invitations to follow. For more information or to reserve your spot please email tinab@ttienv.com. « Procedure Clarification for Responsible Party and LSRP when Immediate Environmental Concern (IEC) is identified.